Jessica Ratty, Communications Manager at Crowdfunder UK shares her top tips for crowdfunding your business or project. Crowdfunding is about reaching out to the community around you. In business this could be your current customers – or your future customers if you are launching a new product or brand. For example, Snact raised over £13,000 through Crowdfunder to expand their business which produces ‘fruit jerky made with 100% fresh fruit’. (See their campaign page at www.crowdfunder.co.uk/snact and video below). 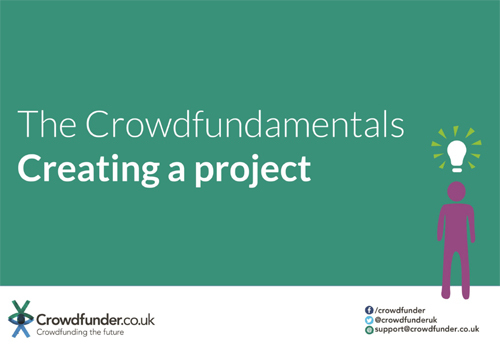 Click on the image below to download a handy guide full of tips on how to launch a project on the Crowdfunder.co.uk website. You have provided a wonderful guide on crowdfunding for those people who have a good business idea and want to raise funds for its start-up. Crowdfunding sites give a wonderful opportunity to people with potential business ideas to grow in the business field and for investors to earn greater profits.